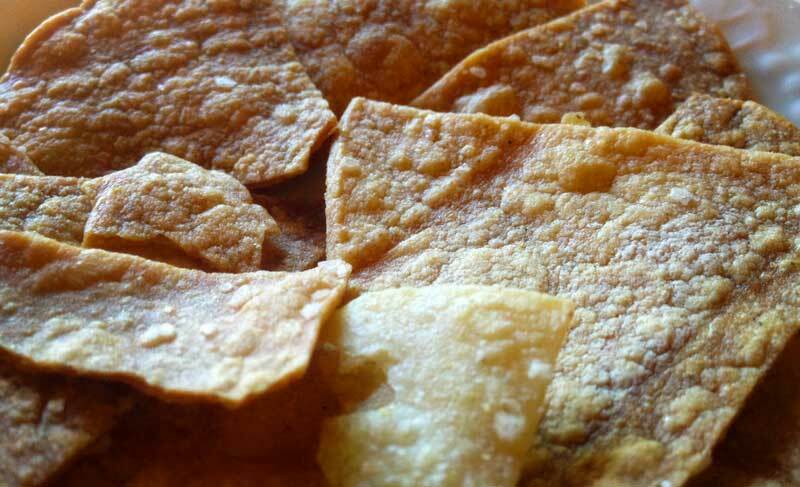 Stack up the tortillas and carefully cut them into triangles. I cut mine into sixths but quarters or strips will work, too. Throw them in a large bowl with the oil and salt. Using your hands, gently toss. Spread out the corn tortilla pieces on two half sheet pans, making sure not overlap. Bake for 30 minutes, rotating the trays at 15 minutes.